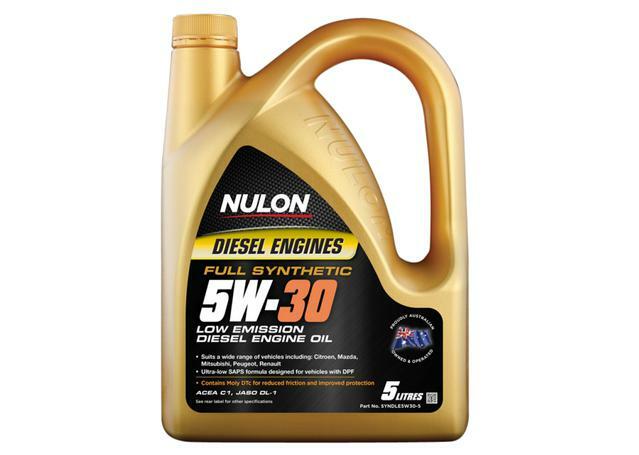 For use in Australian, Japanese, US and European high performance non-turbocharged and turbocharged petrol, diesel and LPG engines that require a low viscosity engine oil. 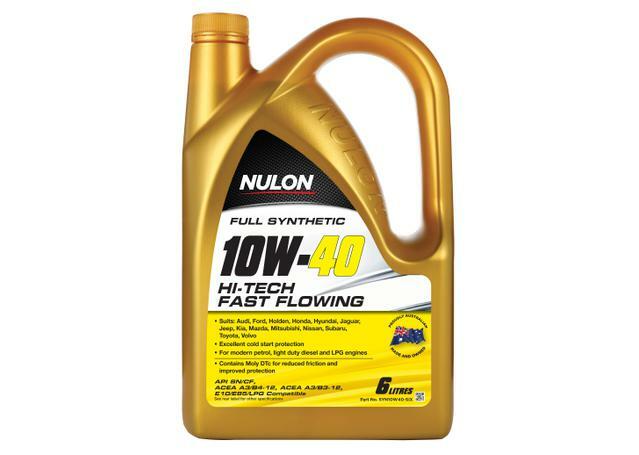 Nulon Full Synthetic 10W-40 Hi-Tech Fast Flowing Engine Oil provides excellent anti-wear protection from the moment you start the engine. - Premium choice for both high performance protection and fuel efficiency. 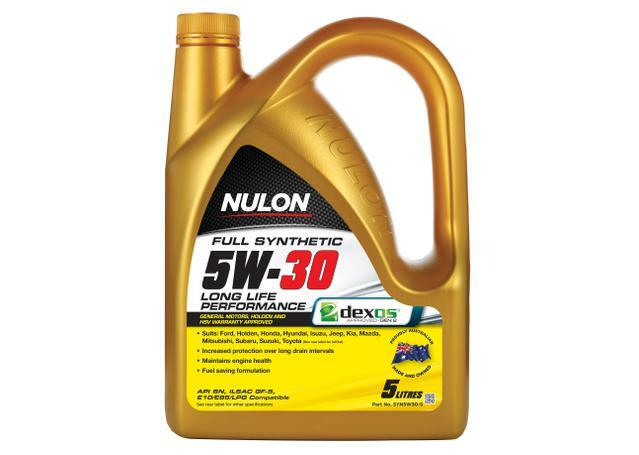 - Full synthetic formulation ensures oil stays in-spec longer. - Added Moly DTc provides additional protection over standard engine oil alone. - Enhanced protection for vehicles using E10, E85 and LPG fuels. - Greater temperature stability over mineral oils. - Keep your engine clean and prevents sludge formation. - Excellent low temperature, cold start performance.